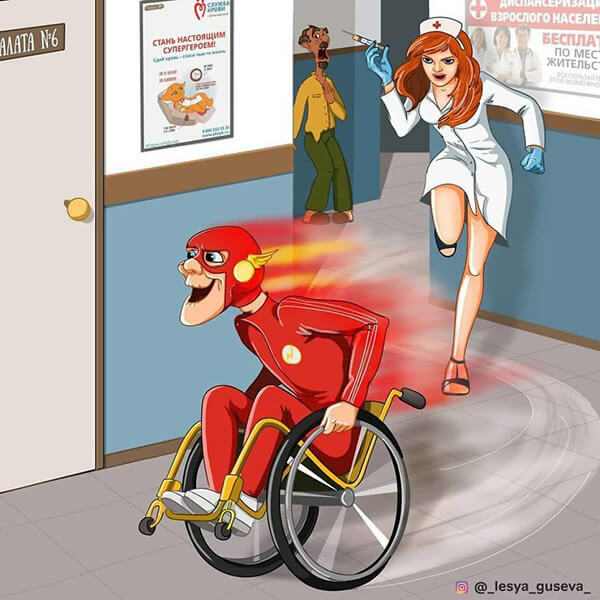 What Superhero Can Do Besides Saving The World? 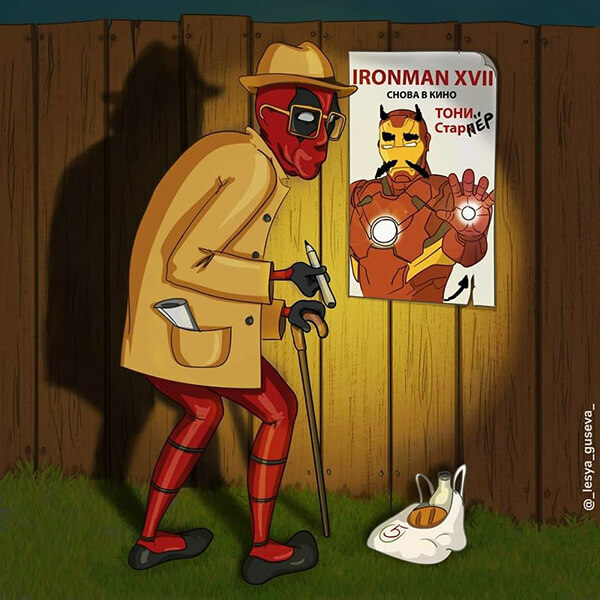 If Superheros are Athlete, What Sport They Should be Good at? 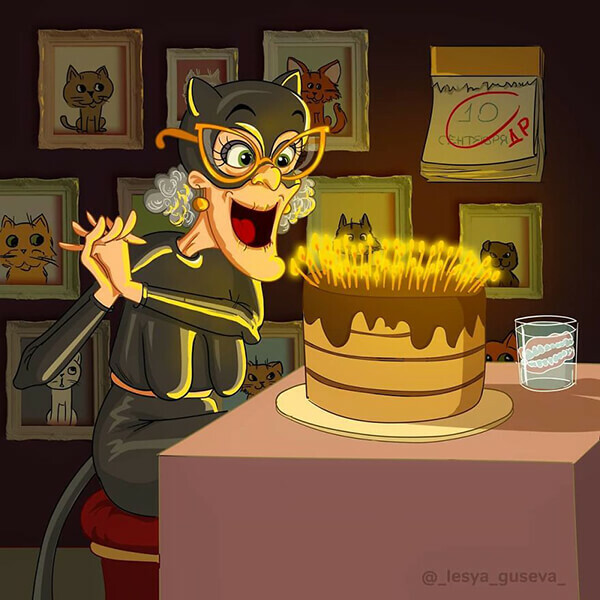 It looks like people always want to explore the other possibility for those famous characters and Perm-based Russian artist Lesya Guseva just raised another question – how they would look like when they got old. 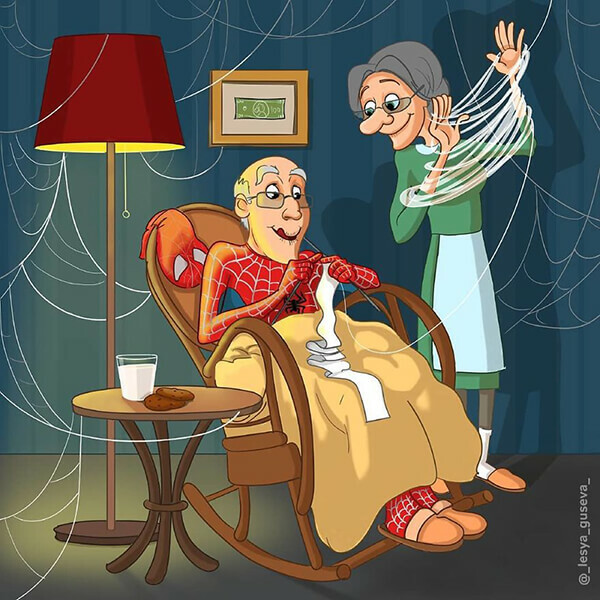 It’s not very common to see this natural process of aging in cartoons or comics. 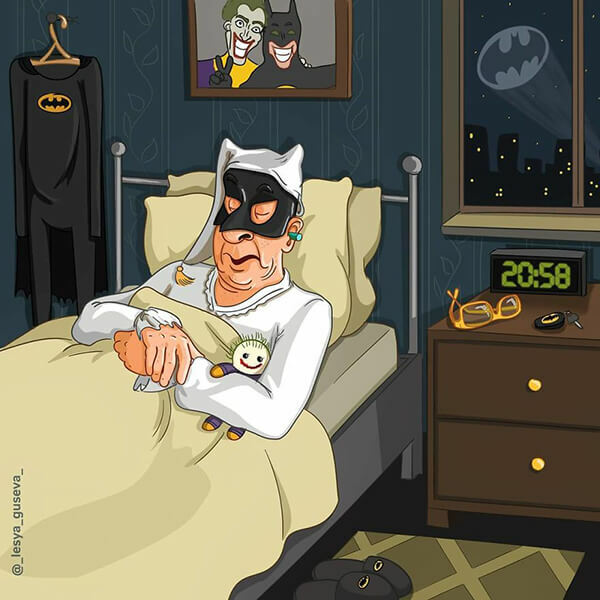 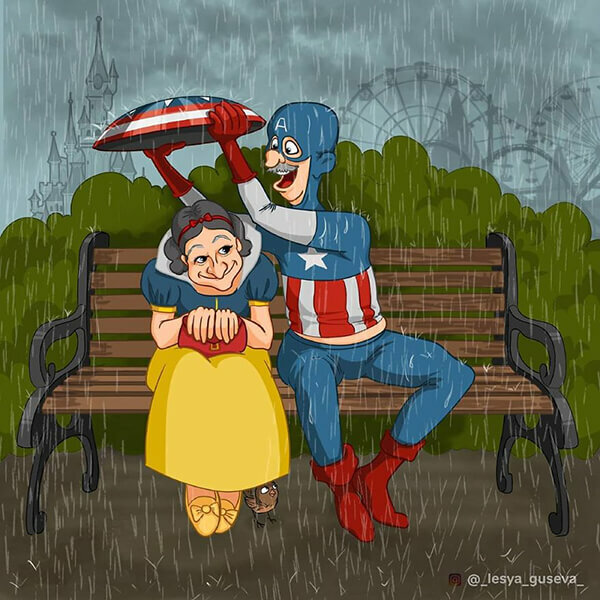 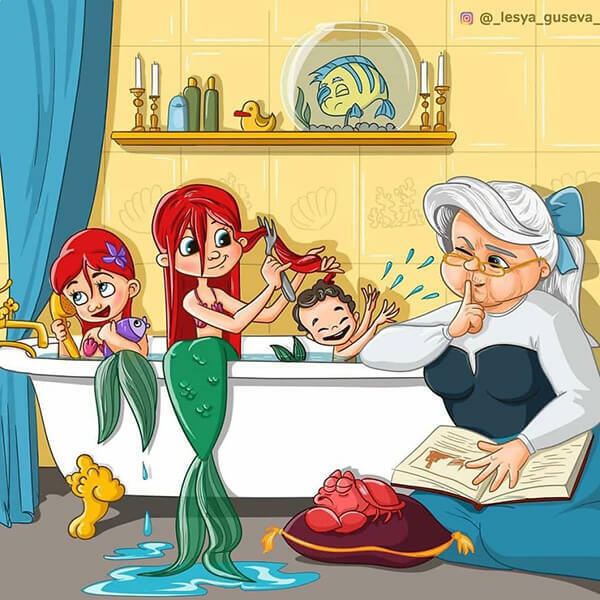 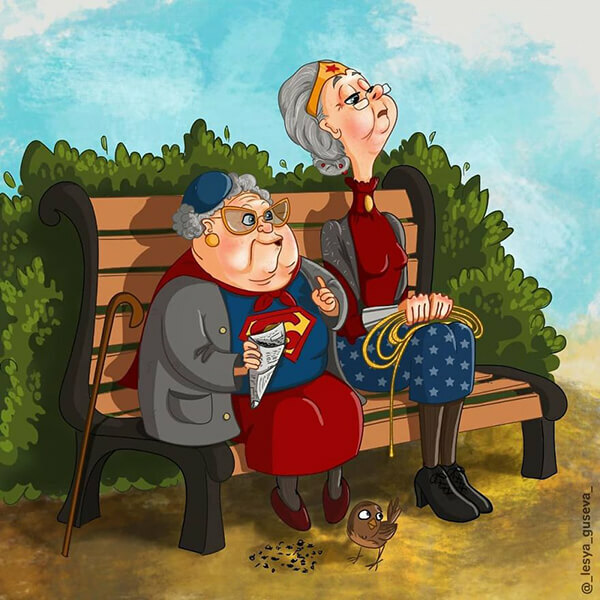 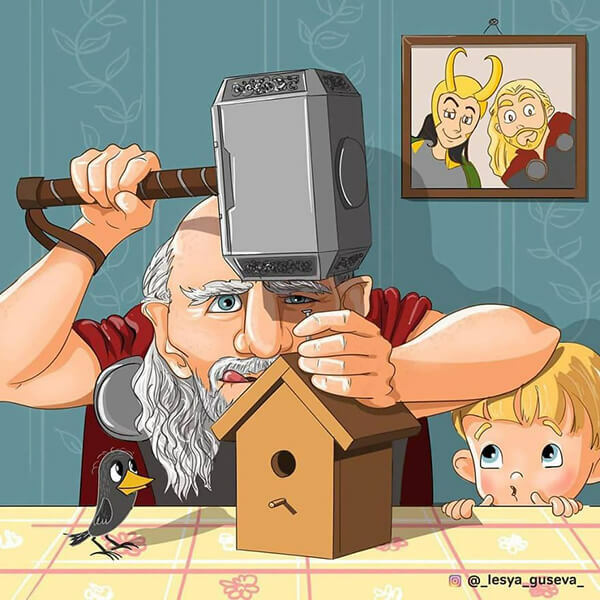 But Lesya just make it easier for us to imagine with her illustrations called “Pensioners” where she portrayed some of our favorite Marvel, DC characters finally taking their well-deserved rest and just enjoying their normal lives as older people. 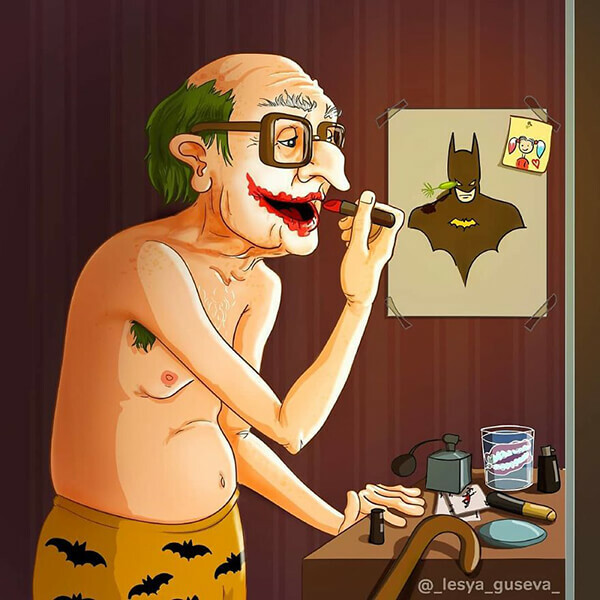 Most of them are quite cute while Joker is still a bit creepy.